5051B Kaba Simplex® Mechanical Pushbutton Grade 1 Cylindrical Passage Lever Lock w/ Best and Equival..
5051XS Kaba Simplex® Mechanical Pushbutton Grade 1 Cylindrical Passage Lever Lock w/Thumbturn or Kab.. 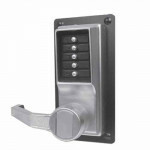 The Kaba E-Plex™ E2031B Key-in-Lever w/Best and Equivalents (6 or 7-pin length); is an electronic ac.. The Kaba E-Plex™ E201UB Exit Trim w/Best and Equivalents (6 or 7-pin length); Exit Trim—Rim, M.. The Kaba E-Plex™ E2066B Electronic Pushbutton Mortise (ASM) Lock w/Best and Equivalents (6 or 7-pin .. The Kaba E-Plex™ E2066XS Electronic Pushbutton Mortise (ASM) Lock w/Kaba Cylinder (Schlage "C" Keywa.. The Kaba E-Plex™ E5031C Corbin Russwin Key Bypass-LESS CORE is an electronic access control provides.. The Kaba E-Plex™ E5031M Medeco/ASSA/Yale/Abloy (5 or 6-pin length) Key Bypass-LESS CORE is an electr.. The Kaba E-Plex™ E5031R Sargent Key Bypass-LESS CORE is an electronic access control provides additi.. The Kaba E-Plex™ E5031XS Kaba Cylinder (Schlage "C" Keyway) Key Bypass is an electronic access contr.. 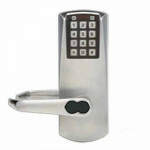 The Kaba E-Plex™ E5051B Best I/C Cylindrical w/Privacy(cyl) w/Key Bypass-LESS CORE is an electronic .. 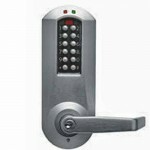 The Kaba E-Plex™ E5066B Mortise(ASM) w/ Best I/C Key Bypass-LESS CORE is an electronic access contro.. The Kaba E-Plex™ E5066M Mortise(ASM) w/Medeco/ASSA/Yale/Abloy (5 or 6-pin length) Bypass-LESS CORE i.. The Kaba E-Plex™ E5066S Mortise(ASM) w/Schlage Bypass-LESS CORE is an electronic access control prov.. The Kaba E-Plex™ E5086B Back to Back Mortise(ASM) w/ Best I/C Key Bypass-LESS CORE is an electronic .. 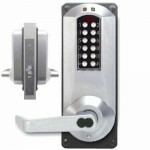 The Kaba E-Plex™ E5010B Exit Trim w/Best I/C Key Bypass-LESS CORE is an electronic access control pr.. The Kaba E-Plex™ E5010S Exit Trim w/Schlage Key Bypass-LESS CORE is an Electronic Pushbutton control.. 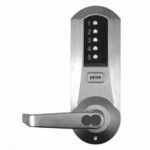 The Kaba E-Plex™ E5010XK Exit Trim w/K-I-L Kaba Cylinder (Kaba 90 Keyway) included Key Bypass- is an.. The Kaba E-Plex™ E5010XS Exit Trim w/K-I-L Kaba Cylinder (Schlage "C" Keyway) included Key Bypass- i.. The Kaba LP1010 Exit Trim Lever Lock No Key Bypass (for use with exits) is a Simplex mechanical push..